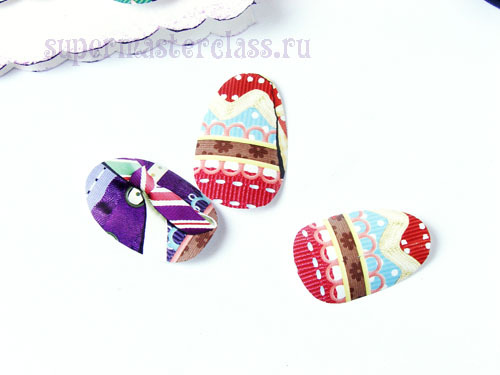 We have already offered you several options.creations, including creative ones. 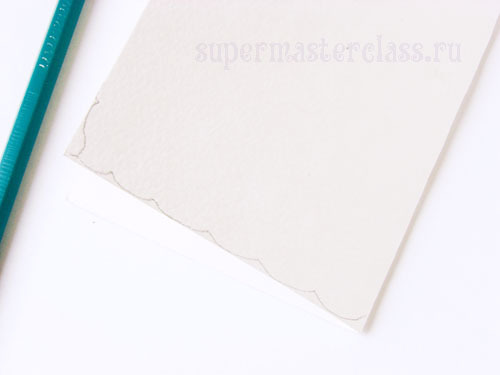 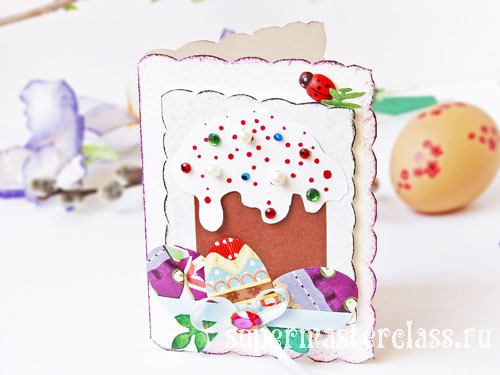 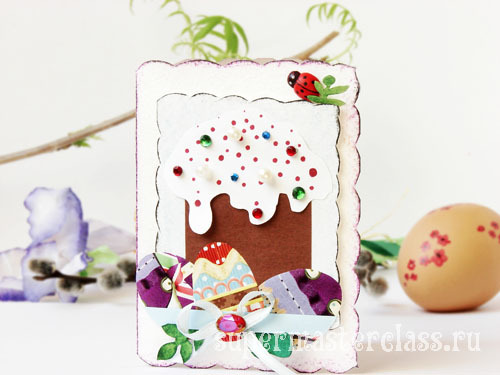 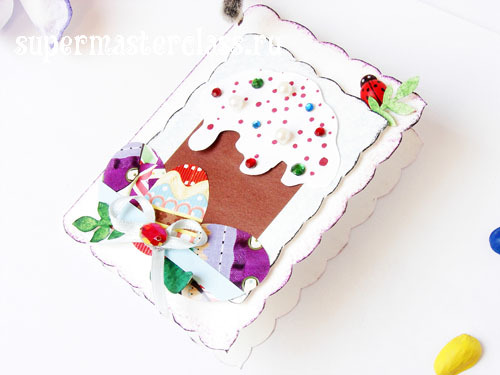 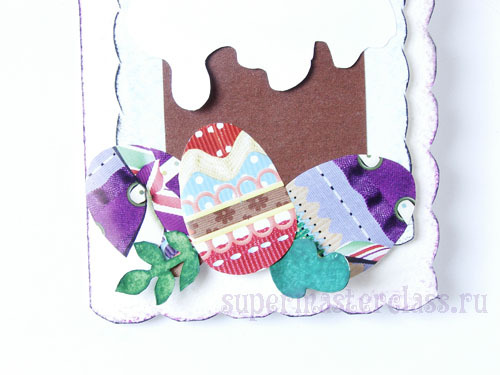 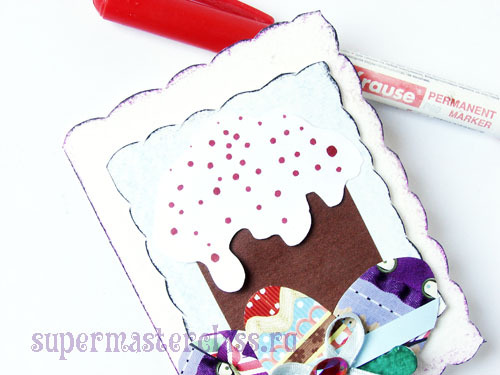 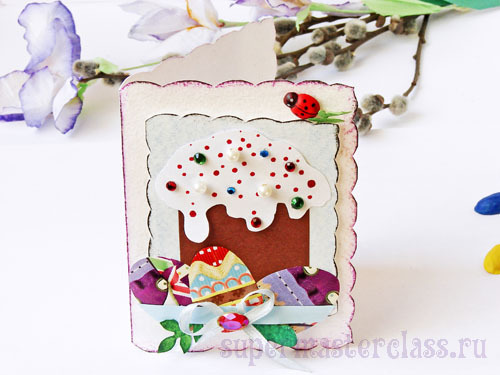 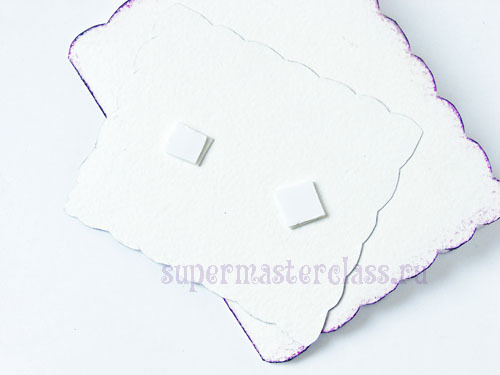 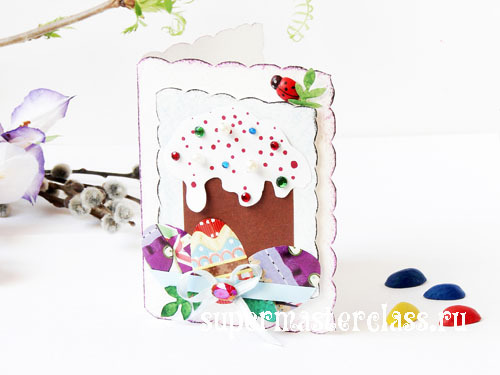 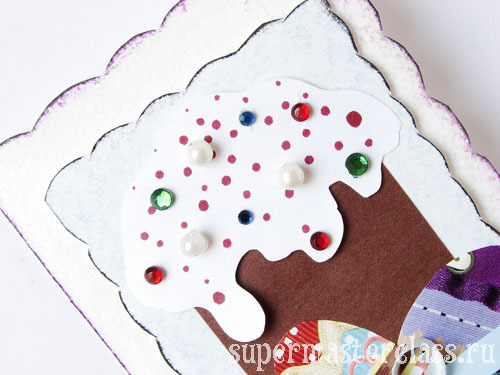 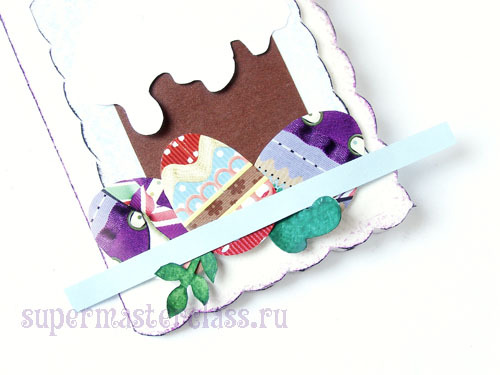 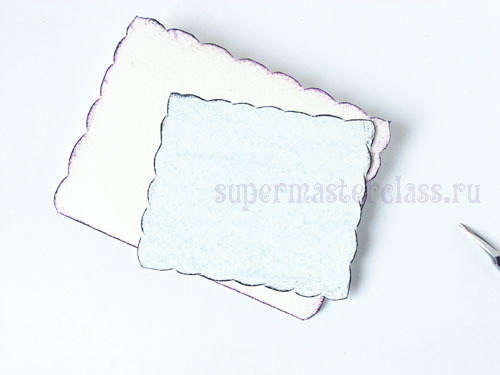 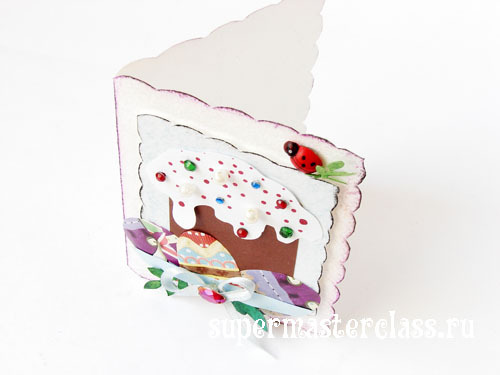 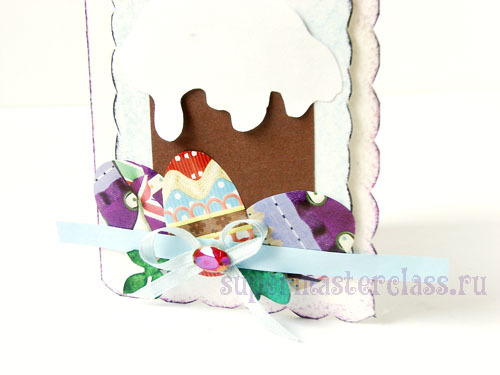 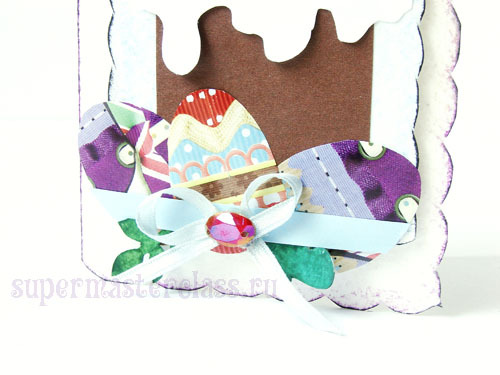 But today's master class tells in detail how to make a Easter card with the Easter cake depicted on it and painted eggs. 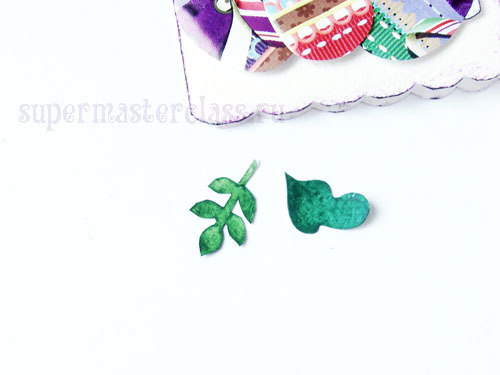 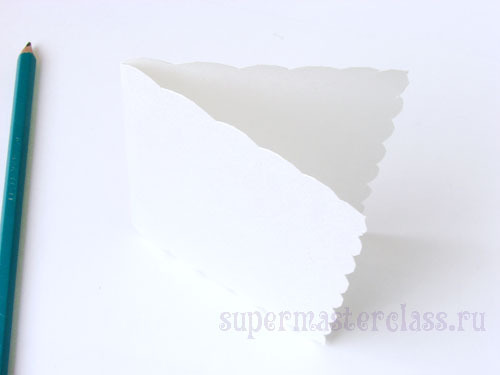 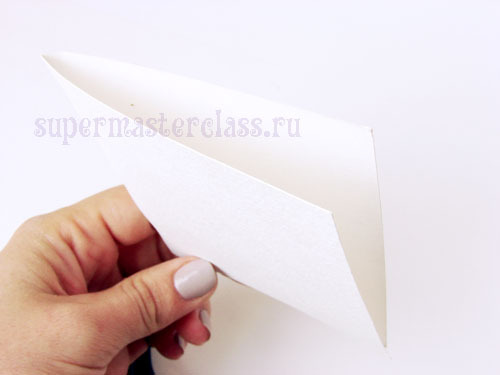 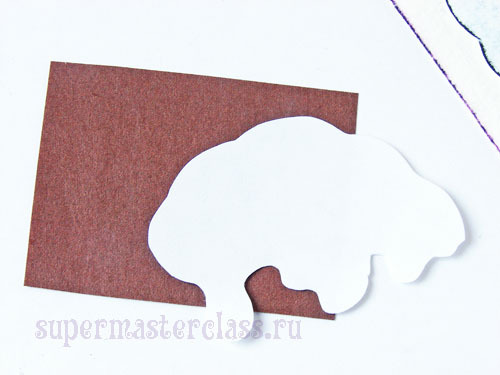 In order to repeat our experience, it is enough to have some simple materials on hand. 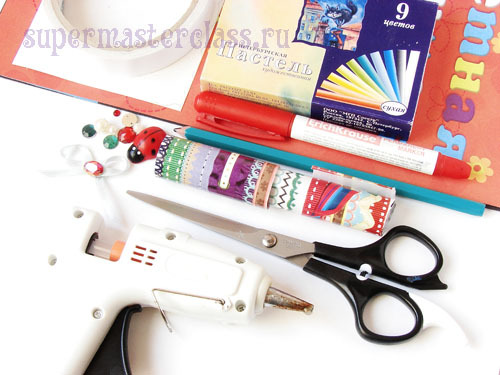 which can be found in almost every home where a needlewoman lives or there is a child over 3 years old, some free time and a desire to create. 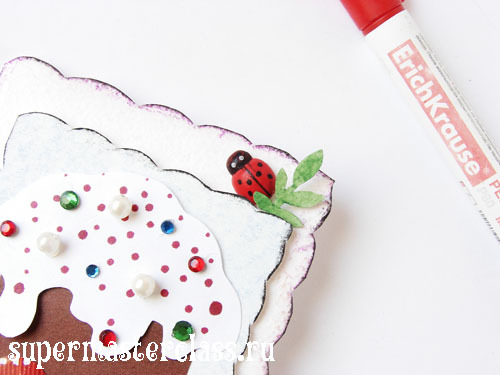 thick watercolor paper; color paper;Double-sided tape; red marker; scissors; pastel; pencil; glue gun; packing paper with an interesting pattern; mini decor: beads, rhinestones, ladybug.